While it’s great to attend a conference and hear from all the experts from within your field, it can be even more useful to hear from experts who work in other fields. 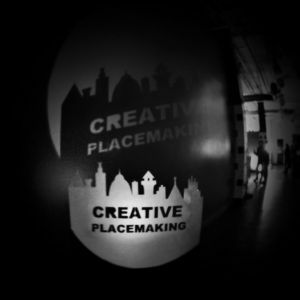 At The Art of Placemaking conference we invited Jed Pearsall, founder and president of Performance Research, a global leader in marketing and sponsorship research for Fortune 50 brands, to share his experiences in working with companies that sponsor the Arts. Performance Research’s mission is to help clients capture and measure the value of sponsorship and experiential marketing and reveal the essential truth about the impact. There was lots of great information in this session. 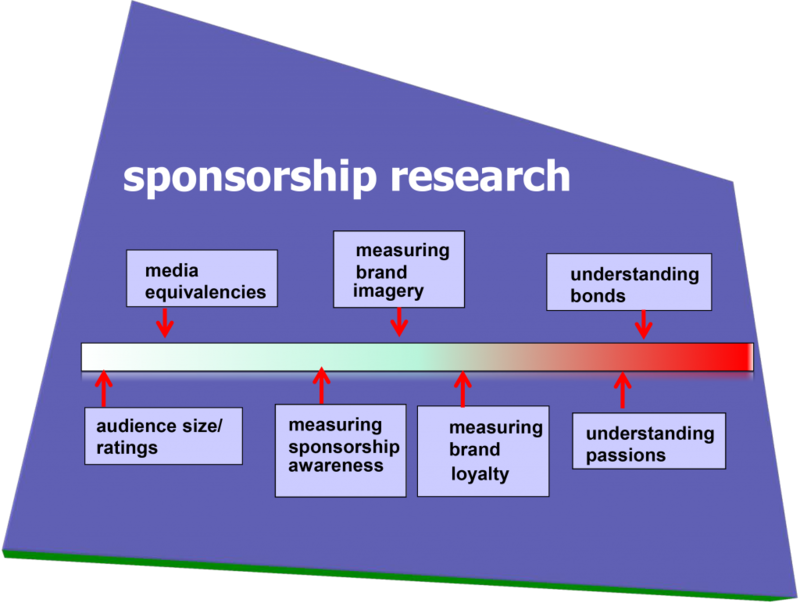 Here’s the continuum of sponsorship research that increases in importance as you move along it from left to right. Many audience members expressed surprise when Jed advised that in all their years of conducting sponsorship research on arts properties, visitors have never expressed concerns to Performance Research about over-commercialization despite this being the biggest fear of art organizations and a hurdle in keeping many from entering into valuable partnerships with corporations. Consumers understand and appreciate that many events and exhibitions would not take place without corporate sponsorship. The second day of the Summit started strong with a plenary session lead by Don Howard, Interim CEO, James Irvine Foundation, one of the team of ArtPlace America funders and the local foundation that provided a lot of support for this event. Prior to joining Irvine Mr. Howard worked at the Bridgespan Group, the nonprofit management consultancy that specialized in capacity building. The focus of this session was field building. Mr. Howard then introduced Abigail Marquez, associate director, Education and Workforce Development, City of Los Angeles and Dixon Singleton, executive director, Youth Policy Institute who presented on the exciting federal Promise Zone designation recently awarded by President Obama to Los Angeles.After doing a short presentation about field Mr. Howard was joined by Tracy Taft, executive director, International Sonoran Desert Alliance and Chris Beck, Senior Project Adviser, Rural Development, US Department of Agriculture. If you have a placemaking capital project you’d be well served to watch Ms. Taft’s presentation of how she identified, applied for and secured a wide range of funding sources for her project. To me her presentation just reinforced how entrepreneurial nonprofit leaders need to be to advance their organization’s mission. If you don’t know Mr. Beck, you should. He’s one of those rare government leaders who is a problem solver who consistently thinks outside the box. Food can be such a big part of place, so think about reaching out to Mr. Beck to explore how you might be able tap into some of the many resources available at the USDA. Barnaby Evans, WaterFire’s creator and executive artistic director and I are in Los Angeles attending the second annual ArtPlace America Grantee Summit. This year’s summit is particularly interesting as ArtPlace America has successfully managed a leadership change over the past year and is charting a very defined future course for itself. More about that in a bit. To accommodate travel schedules of participants coming in from all over the country, the Summit didn’t kick off until Monday mid afternoon so I took advantage of the great location of the Omni Hotel and visited the adjacent Los Angeles Museum of Contemporary Art which had two interesting shows of works from the permanent collection and recent acquisitions. 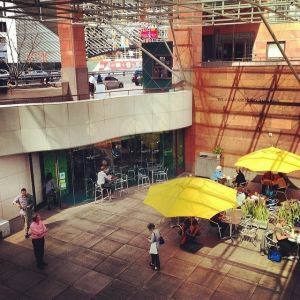 If you are looking for a place to have lunch, definitely check out Lemonade in the museum’s courtyard. Participants were welcomed to the Summit by Josephine Ramirez, program director, James Irvine Foundation and Doane Lui, deputy mayor, City of Los Angeles. Mayor Eric Garcetti sent a nice welcome video too. Rip Rapson, president, Kresge Foundation and chair, ArtPlace America presented the future of the organization and introduced Jamie Bennett, the new executive director. Mr. Rapson’s remarks can be read in full in the President’s Corner blog of the Kresge Foundation website.